Can higher earnings be attributed to higher minimum wage policies, or industry responses to wage increases? Chicago, the District of Columbia, Oakland, San Francisco, San Jose, and Seattle, employing event study and synthetic control methods. Using aggregate data on average earnings and employment in the food services industry, this study finds significantly positive earnings increases and no significant employment losses. While such evidence suggests the policies accomplished the intent of increasing the earnings of low-wage workers, Nadler’s research also addresses the argument that the industry responds to wage increases by increasing its demand for more productive higher-wage workers, offsetting low-wage layoffs (i.e., labor-labor substitution). To tackle this key question, Nadler utilizes a theoretical framework that summarizes the total effect of the policies on low-wage workers. They find that the combination of average earnings gains and constant employment cannot be produced by labor-labor substitution unless there are also effects on hours. In examining the effects of California’s state and local minimum wage policies on the food services industry, their research is unable to find evidence of labor- labor substitution or hours responses. Thus, Nadler concludes that the most likely explanation for the responses we find in the cities is that the industry’s total labor demand elasticity for employment and hours of low-wage workers is inelastic, and the policies raised the earnings of low-wage workers. 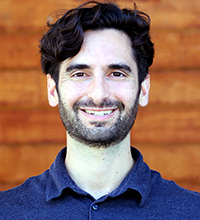 Carl Nadler is a labor economist and postdoctoral scholar at the Center on Wage and Employment Dynamics (CWED) at the Institute for Research on Labor and Employment at the University of California, Berkeley, where he works on research related to the minimum wage.